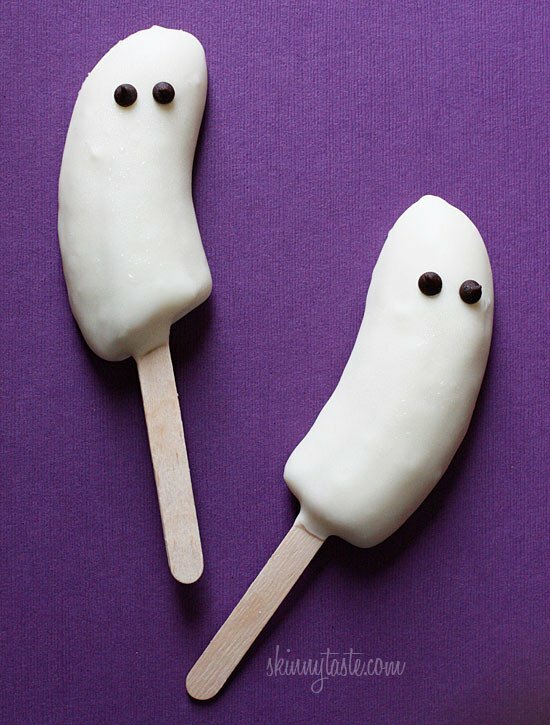 With Halloween coming soon, I thought I would share these cute, ghost-shaped frozen Frozen “Boo”-nana Pops made with white chocolate and bananas. 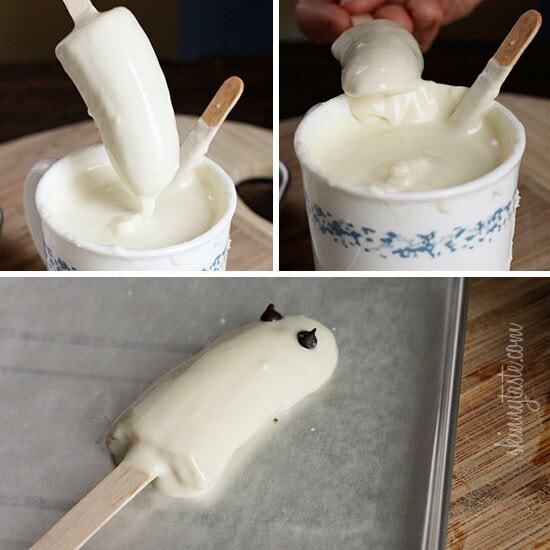 This is fun to make with the kids and what kid doesn’t like chocolate covered bananas. Just ask my little one! This makes four pops but you will have plenty of extra chocolate if you want to make more. Each banana has about 1/2 oz of chocolate, that is how I based the nutritional info. 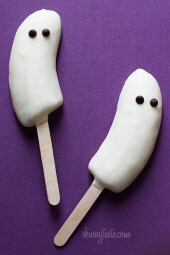 With Halloween only a week away, I thought I would share these cute ghost-shaped frozen white chocolate banana treats. 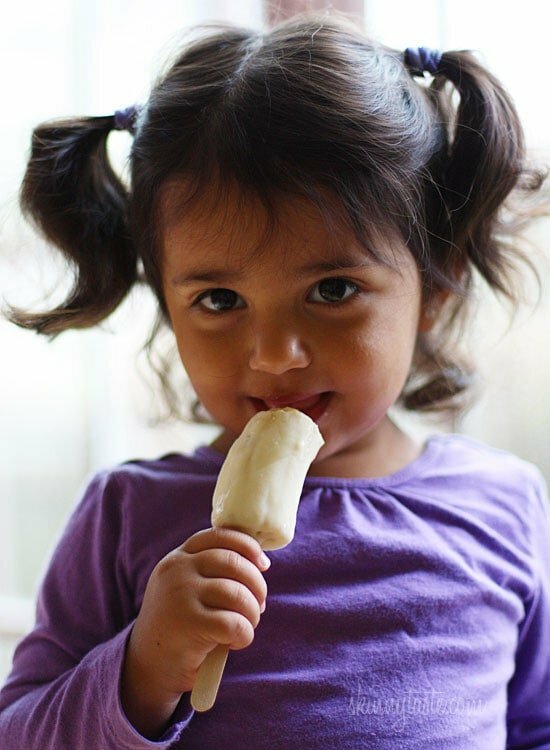 This is a fun project to make with the kids and what kid doesn’t like chocolate covered bananas. 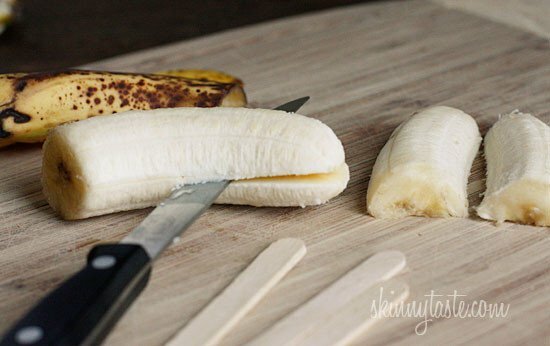 Cut banana in half lengthwise, then in half to make four quarters. 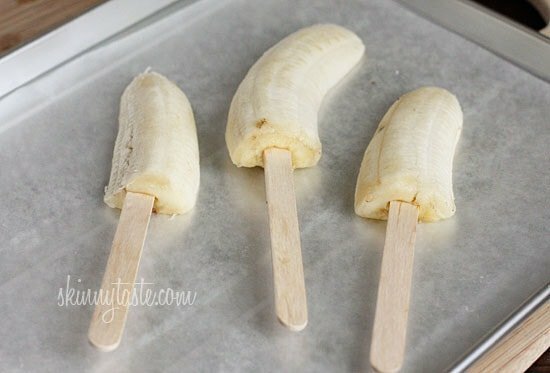 Insert popsicle sticks into bananas, and freeze bananas on a wax paper lined cookie sheet. Dip the bananas one at a time into the chocolate, scraping off the excess chocolate from the back of the banana, and place it on a cookie sheet lined with wax paper. 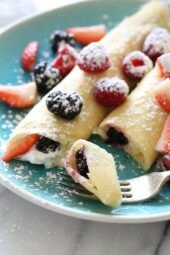 Quickly add the chocolate chips for the eyes before the chocolate hardens (you have to work quickly here). Each banana has about 1/2 oz of chocolate, that is how I based the nutritional info. 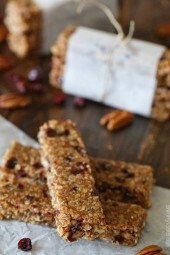 Pingback: Healthy Halloween Treats For Kids | Get Your Scare On!